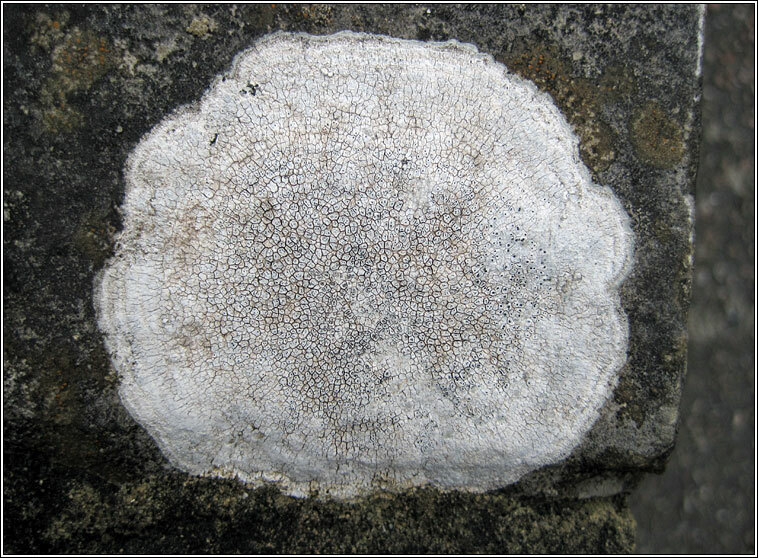 Common on limestone walls and tombstones where it can form large patches to 40cm diameter but not found on cement or mortar. 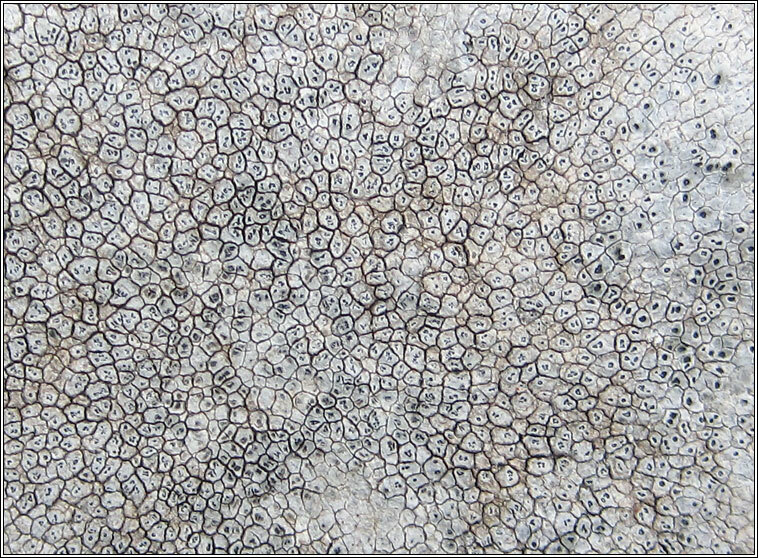 Smooth white to pale-grey thallus, usually areolate and often surrounded by zoned, cracked, grey prothallus. 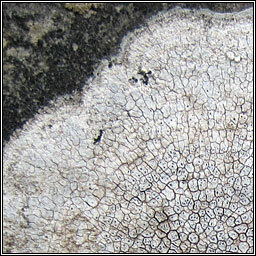 Black, lecanorine, apothecia have distinct but non-persistent margins. Ascus 4-8 spored, spores 18-30 x 14-27 µm.